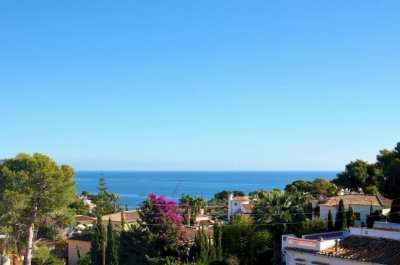 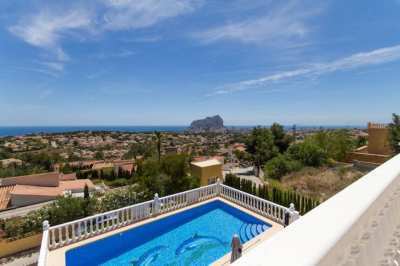 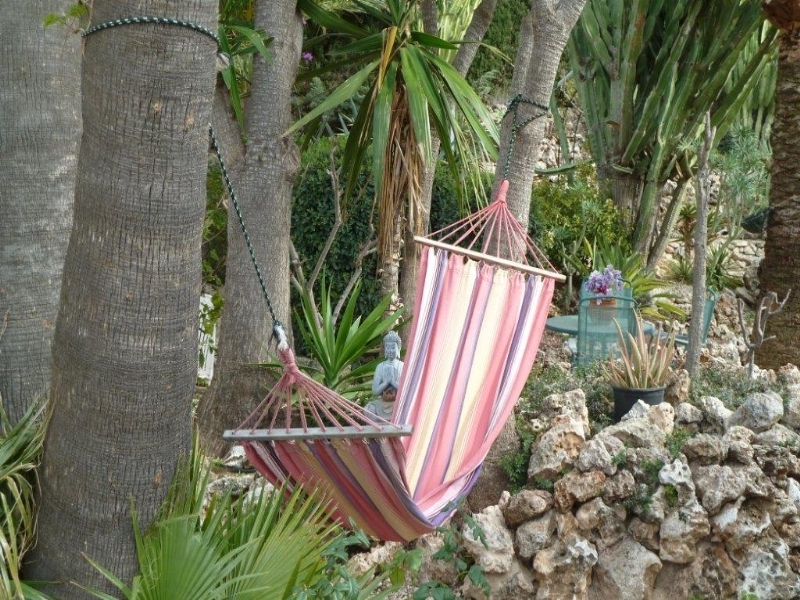 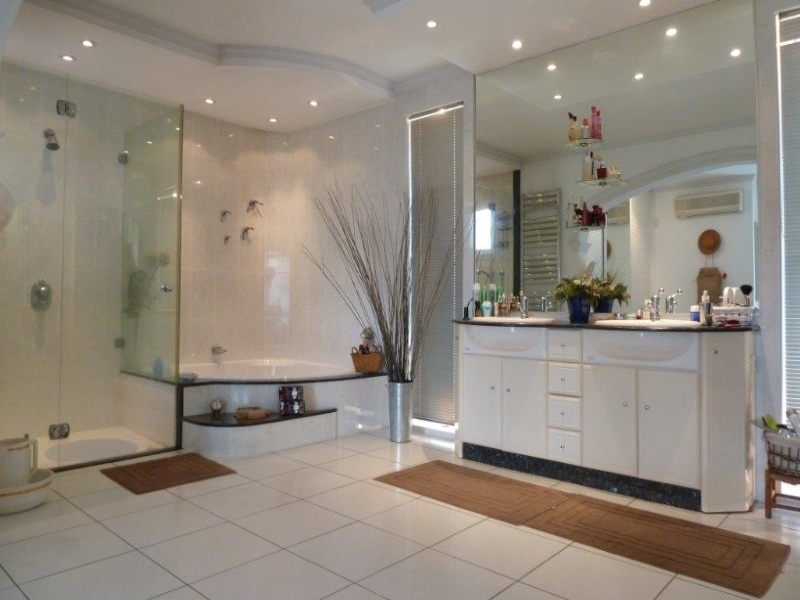 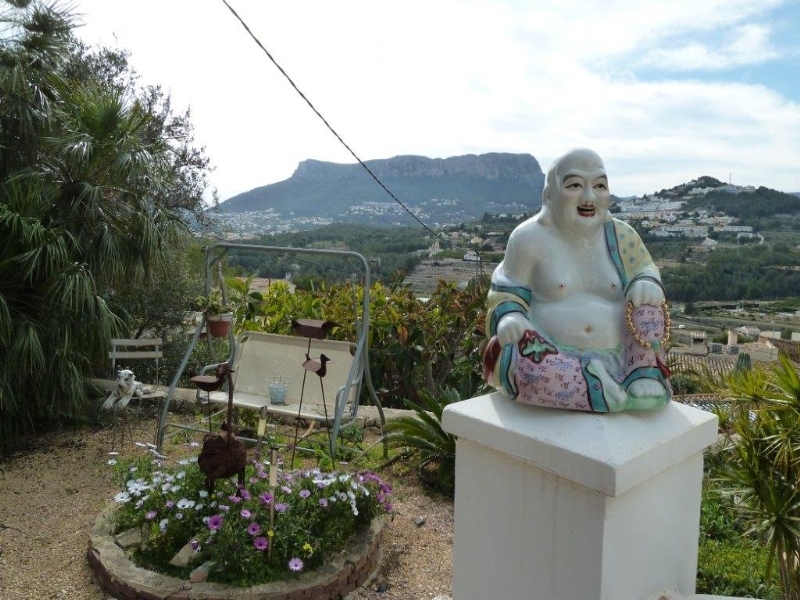 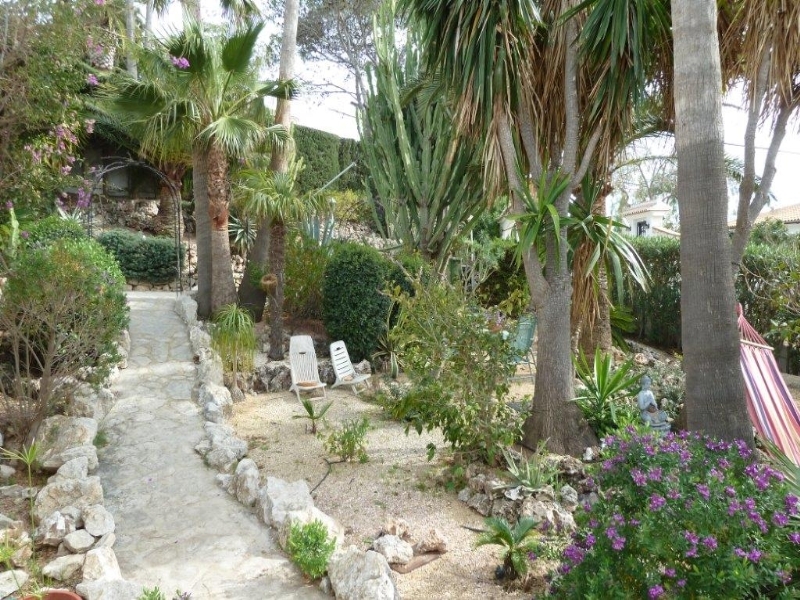 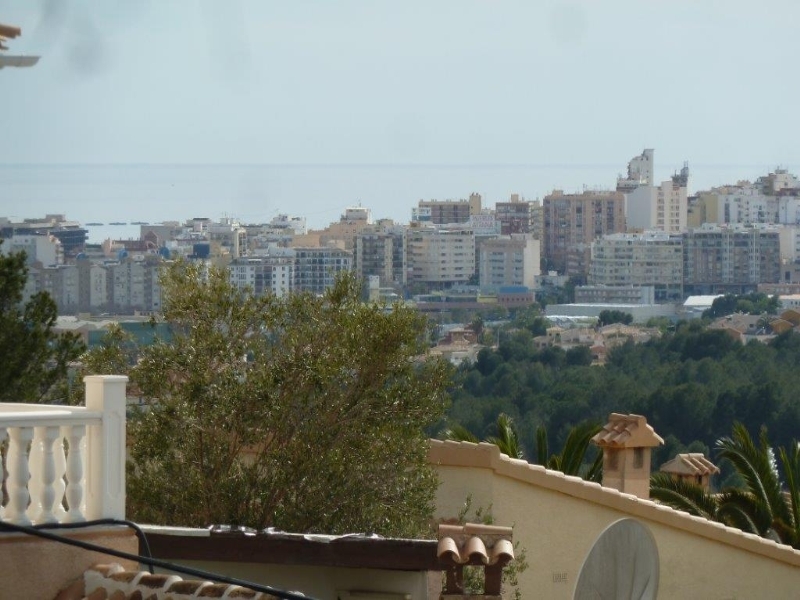 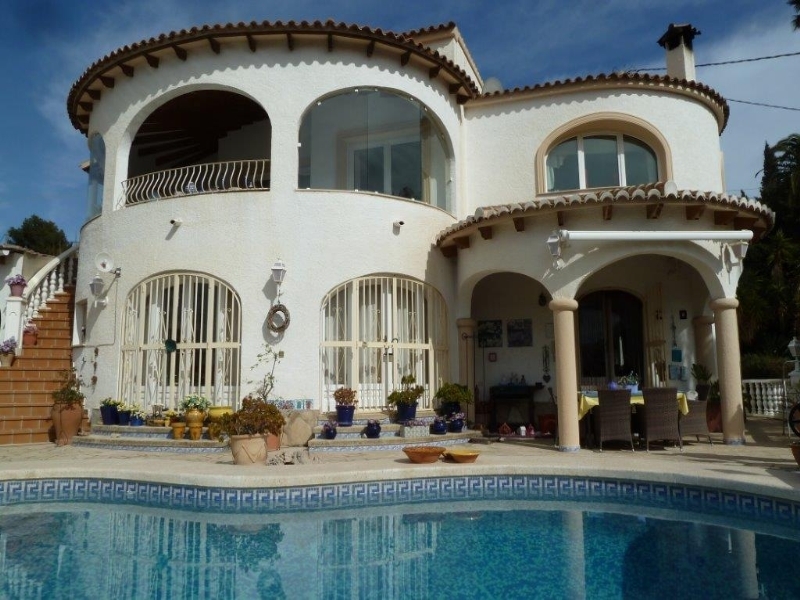 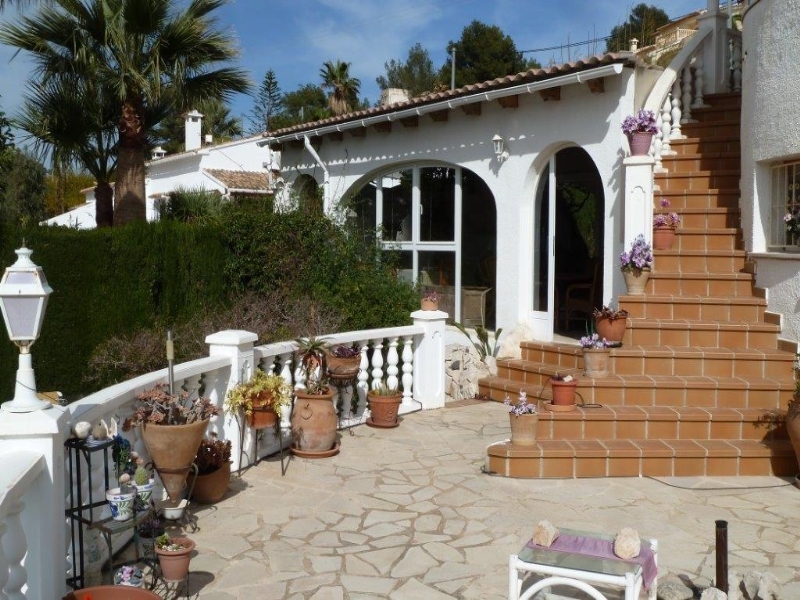 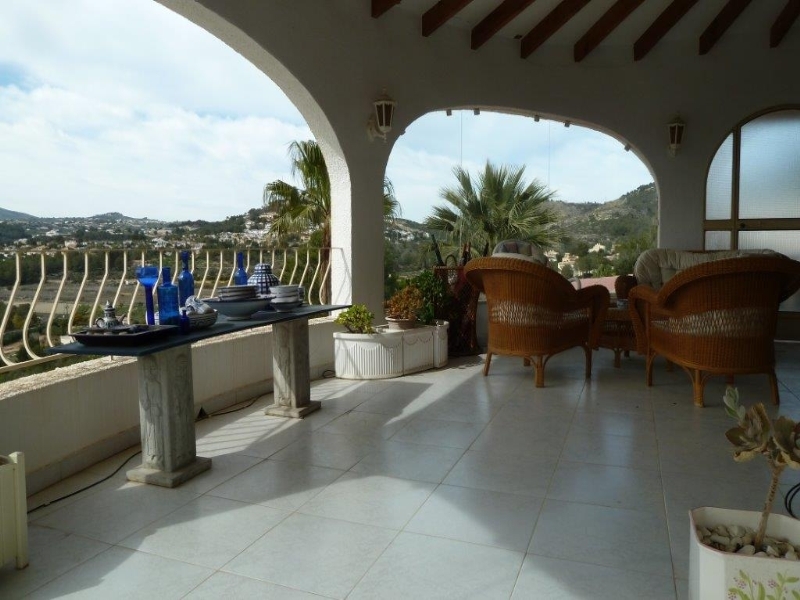 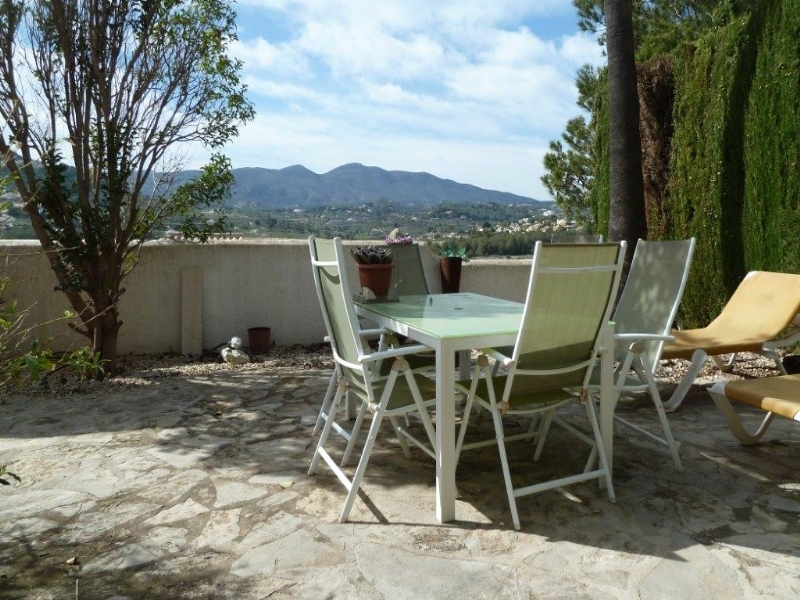 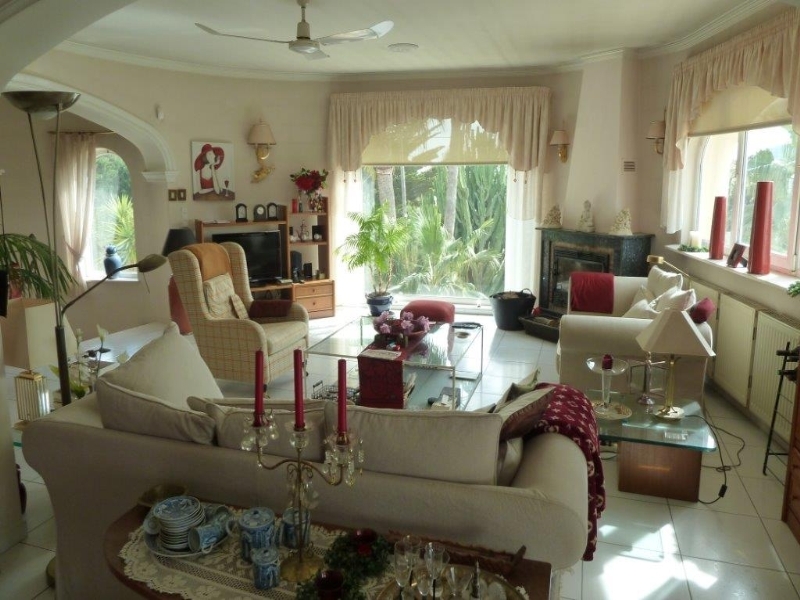 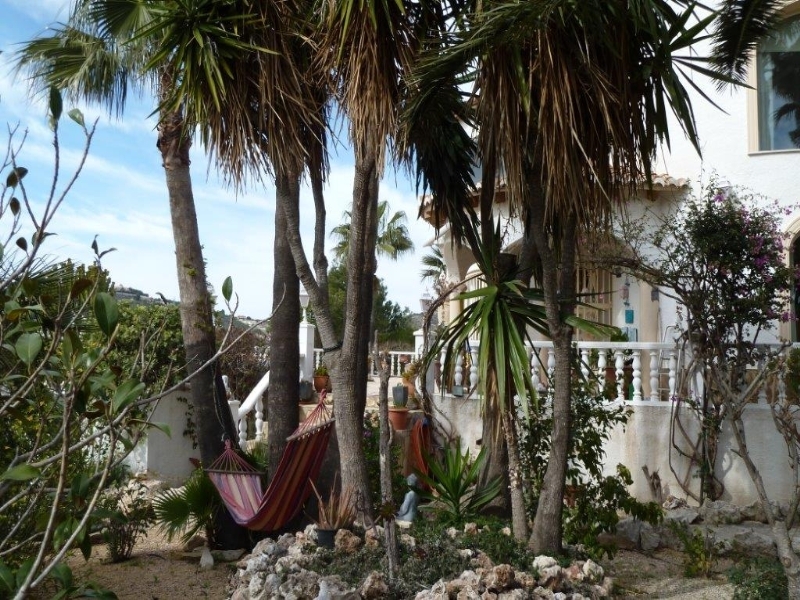 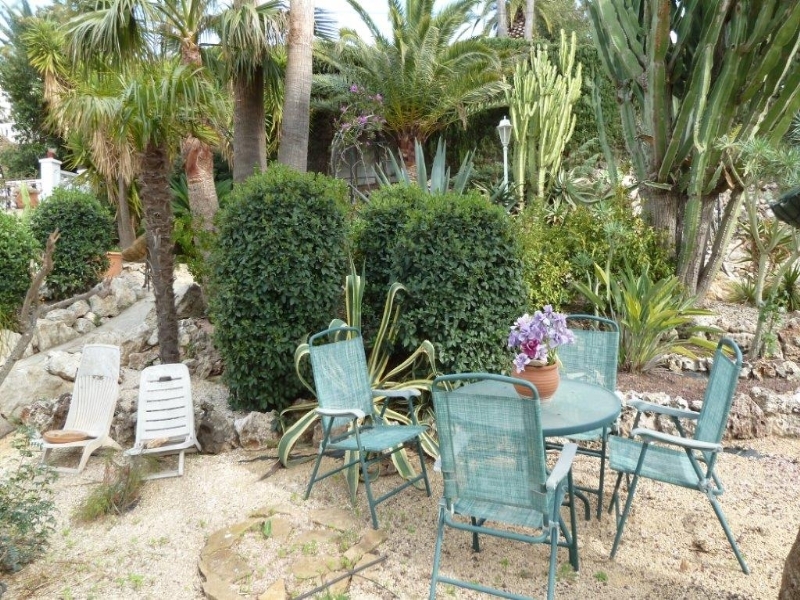 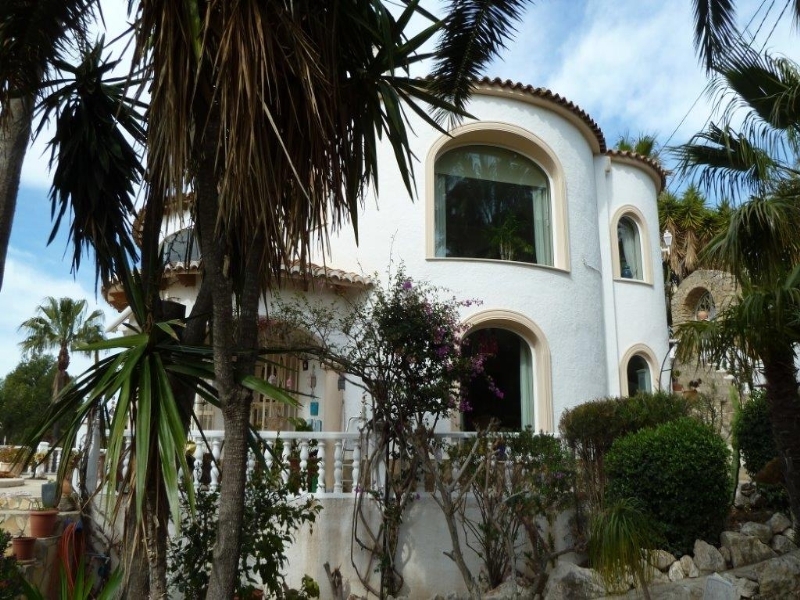 For sale in Calpe spacious villa on large plot with beautiful garden. 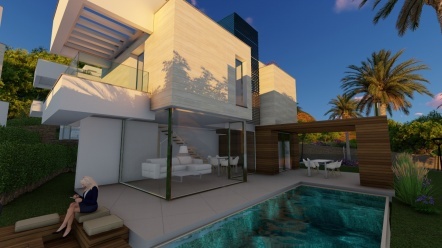 2-storey villa with 330 square meters of built area. 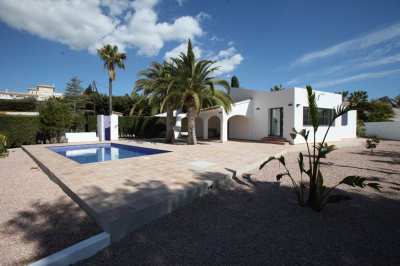 The villa was built in 1990 and completely renovated in 2001 and expanded with an additional floor. 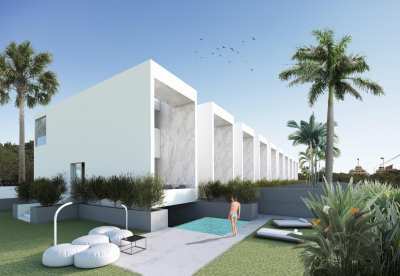 On the upper floor (street level) is a spacious living room, a spacious bedroom with bathroom, the living room and the bathroom have access to a spacious terrace with glass wind resistance is. 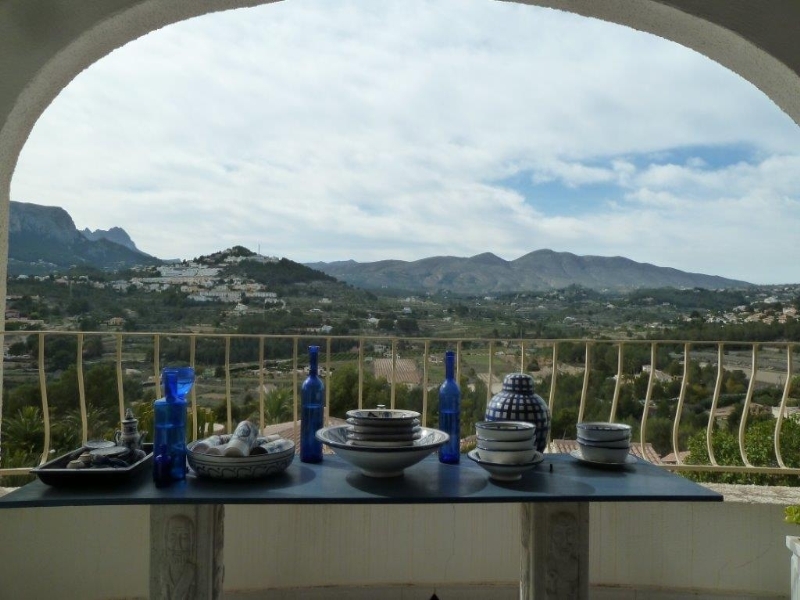 From the terrace you have a beautiful panoramic view of the surroundings and see a piece of the sea. 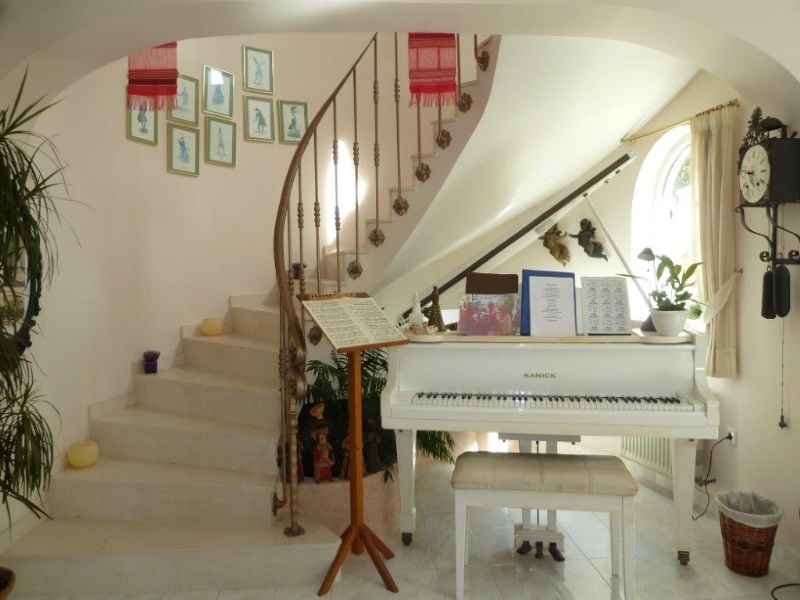 With a beautiful curled staircase on the ground floor where the dining room and the kitchen. 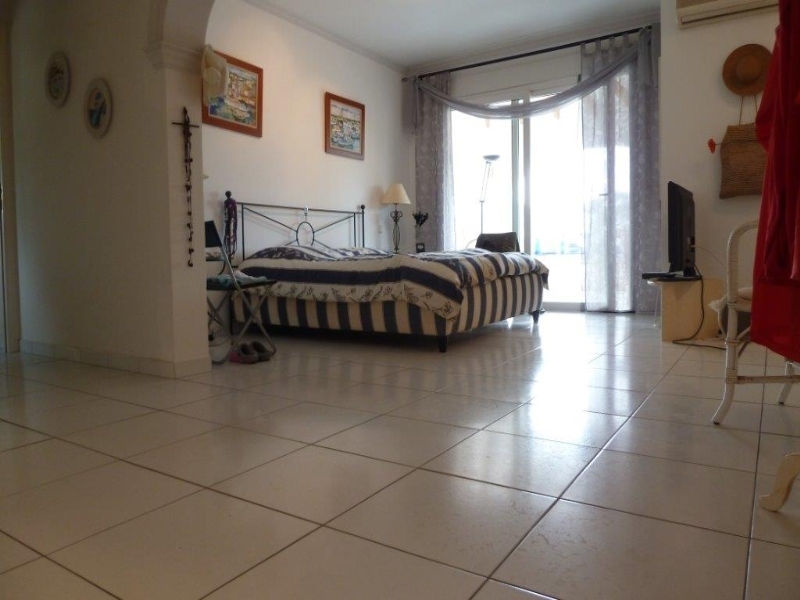 Here are two additional bedrooms, a bathroom and a second kitchen. 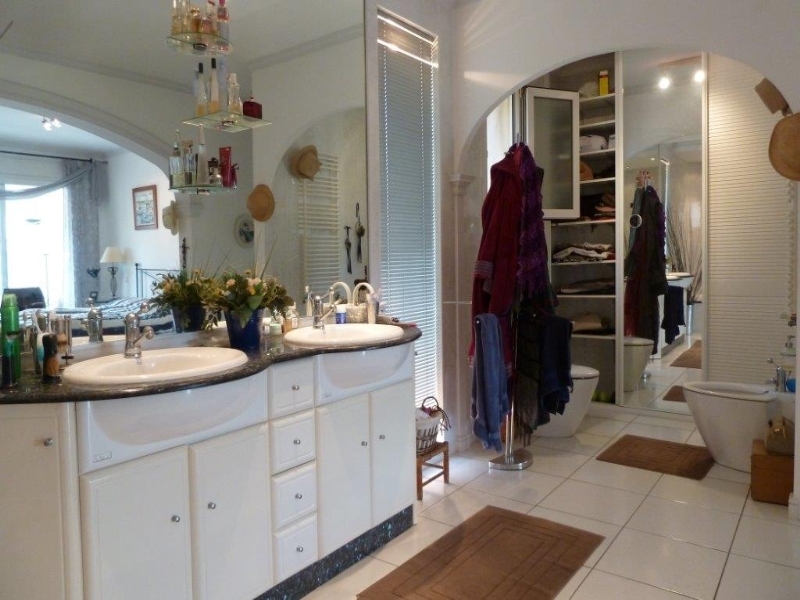 Also here is a room used as a garage but now serves as storage. 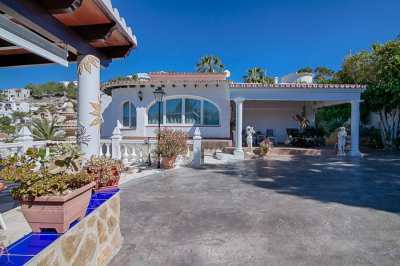 The villa is located on the southwest and has all day sun. 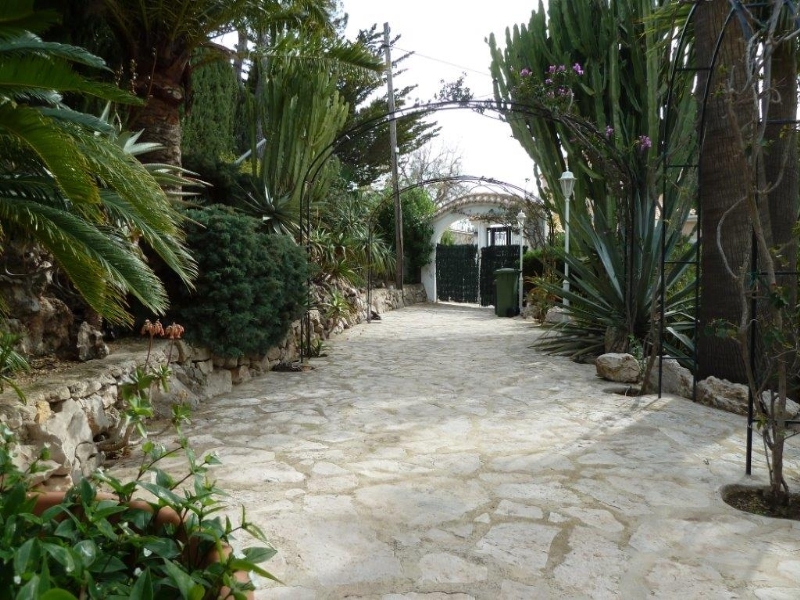 It has a total area of ​​1,200 square meters, si fitted with a kidney shaped heated pool and a fairytale garden. 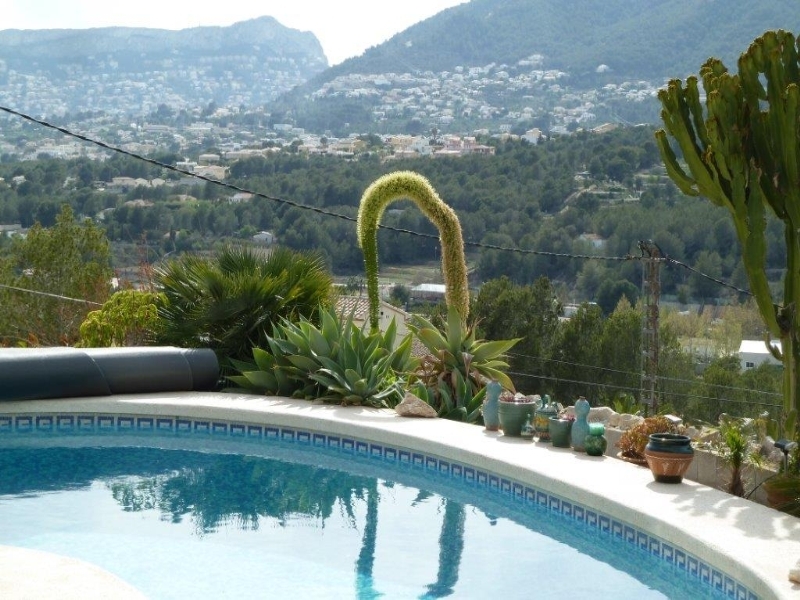 Pool and garden are completely secluded. 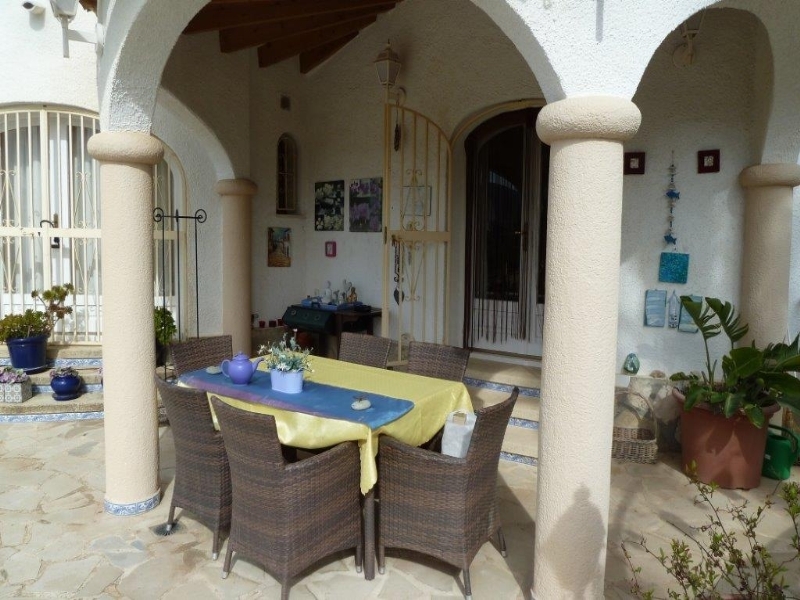 Adjoining the house is a conservatory with barbecue and outdoor kitchen. 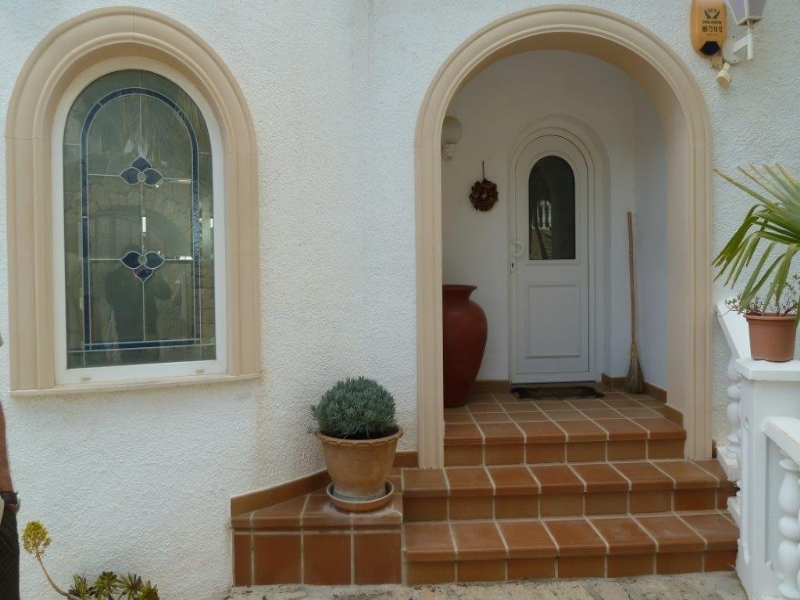 Upstairs there is a carport and the lower floor is accessed by a driveway.